Stork surprised me with this one. I loved his first book, Marcelo in the Real World. Even in the difficult moments of that book, I often found myself smiling, appreciating the main characters' actions and words. So when I saw Stork authored this one, I grabbed it up. Once I started reading, I could hardly put it down. I loved this one too but for totally different reasons. The Memory of Light begins with a teenage girl waking up in a pysch ward, realizing she should be dead. Her plan did not work, and she was stuck with the very difficult work of figuring out what and whom to live for. Stork explores the hows and whys, letting us readers meander meaningfully through her brain as she unpacks and reframes her life, eventually growing beyond the desperation and loss instilled in her suicide attempt. What makes this story different for me is that Stork uses personal experiences to write this story from, and as someone who struggles with depression, I both resonated with his character development as well as his intimate unpacking of each characters' way in life. If you are looking for a happy spring-break type of YA novel, you might want to wait to read this book. 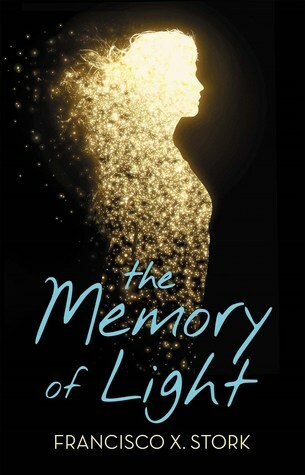 If you want to dig into a book with a real-life, figuring-out-life YA novel with some difficult and crucial inner explorations, The Memory of Light can sit at the top of your to-read stack. I love Gemeinhart's writings. I loved his first book The Honest Truth and reviewed it earlier. And Some Kind of Courage resonated just as much within me although for totally different reasons. Set long ago in the Pacific Northwest when Europeans were settling here, teen-ish Joseph lives alone. His father recently dead and mother and sister long since passed, Joseph shoved off on some brutish neighbor shortly before his father died, he lives for his horse Sarah. Then the brutish boneheaded neighbor sells the horse. And there the story really starts: Joseph searches for Sarah, and come hell or high water, he will find her. He knows who has her, and he will not be stopped. He travels far and wide, and although he starts his journey alone, he ends it with a world of knowing and community, just like The Honest Truth. Gemeinhart's first novel was set up on Mt Rainier; this novel is set somewhere nearby and yet so long ago. I was surprised by the storyline but not by the way the author builds deep human beings for characters. Another lovely book for reading!